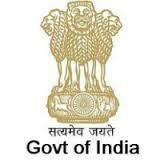 Lok Sabha published an official notification for Recruitment of Junior Clerk for 31 posts. Eligible candidates can apply for this recruitment. You can view more details about this recruitment including No. of posts, name of post, Educational qualification, Age limit, Selection process, How to apply etc... You can also view official notification and other important facts about this recruitment e.g. Important links and Important dates. Educational qualification: Candidates should have Bachelor's degree in any discipline/ subject from a recognized university with minimum 40 WPM typing in English/ Hindi stream. Final selection will be based on Interview & written examination. Junior Clerk applications are invite online from official website of www.loksabha.nic.in fill required details, upload passport size photograph and submit before last date.